These tanks typically sit in close proximity to and supply the required fuel to operate a fuel oil powered generator. They can range in size from 25 gallons to several thousand gallons. The Day Tank can be the only fuel supply necessary to operate the generator but, quite often it is supplied fuel from another larger remote fuel storage system. The Day Tank is critical for most generators to operate as they are not designed to pull fuel from great distances. 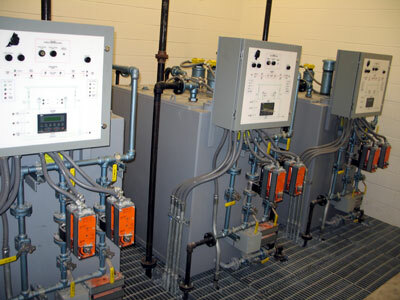 Most Day Tanks that are part of a large storage and supply system have a considerable amount of automated controls to keep them continuously filled in the event of a generator run cycle. Have you ever had the Day Tank fill sequence fail during a generator run cycle? Do you know the condition of the fuel in your Day Tanks? Do you know if the inside of your Day Tank is rusted or corroded due to the new fuels on the market? Do you know someone that can test the fuel in your Day Tank and clean it properly?